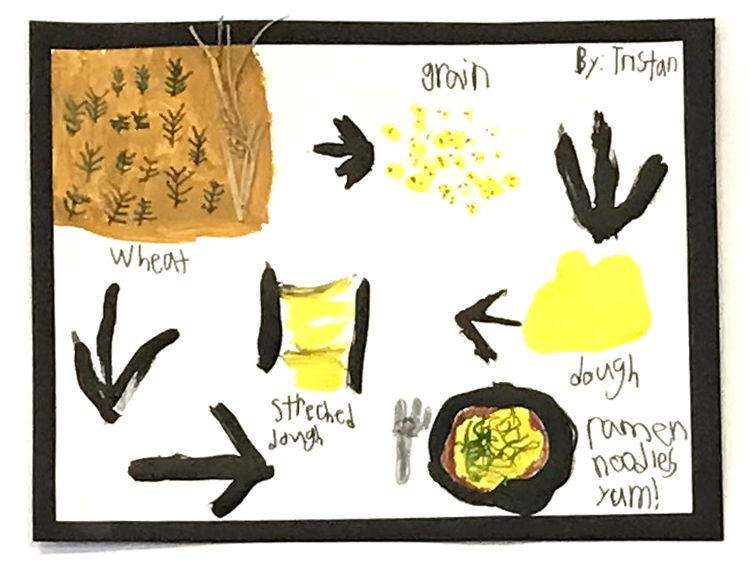 A curriculum guide, activity sheets, drawing and writing pages, and posters for downloading. 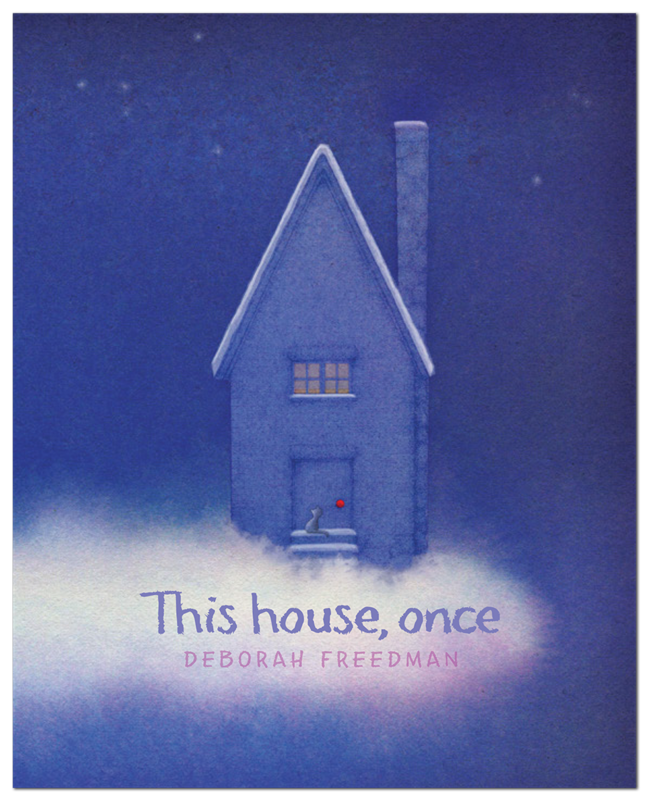 Download AN EDUCATOR'S GUIDE to the work of Deborah Freedman: Lesson plans and activities aligned to Common Core state standards for Kindergarten — for Blue Chicken, The Story of Fish & Snail, and By Mouse & Frog —from Penguin School & Library Marketing. Download this poster for BY MOUSE & FROG. Download this poster for THE STORY OF FISH & SNAIL. Download these Nerdy Book Club bookmarks. Did you notice the kitten in This House, Once? Tell the story from the kitten's or another animal's point of view. Have you read The Story of Fish & Snail? 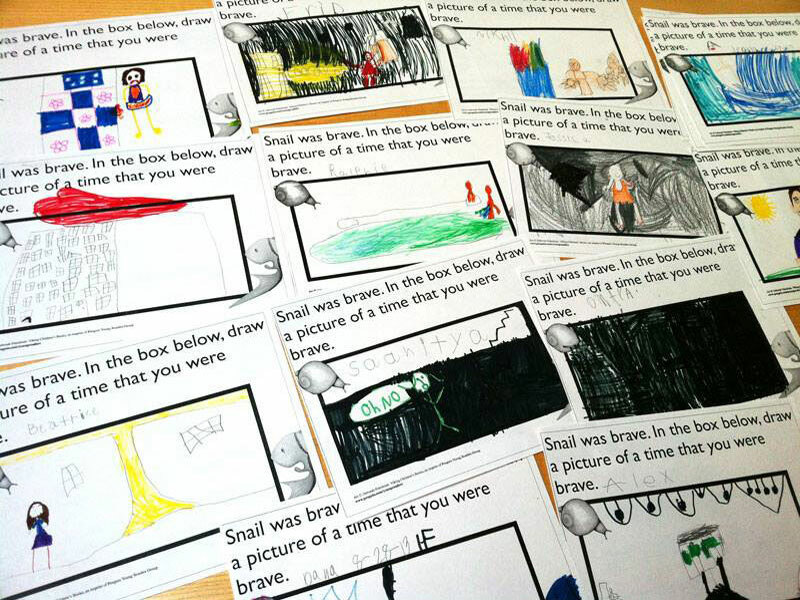 Write about Fish's and Snail's next adventure, or tell about a time that you were brave. What was your home, once? Or look around you. Do you see something that makes you wonder, what was that, once? What do you imagine are Fish and Snail's favorite books? Download these templates, or make your own Fish & Snail "shelf talkers" for your home, classroom, or school library. Have you ever been shy? Write about a time you felt shy. Or choose an animal in Shy, and write your own story. 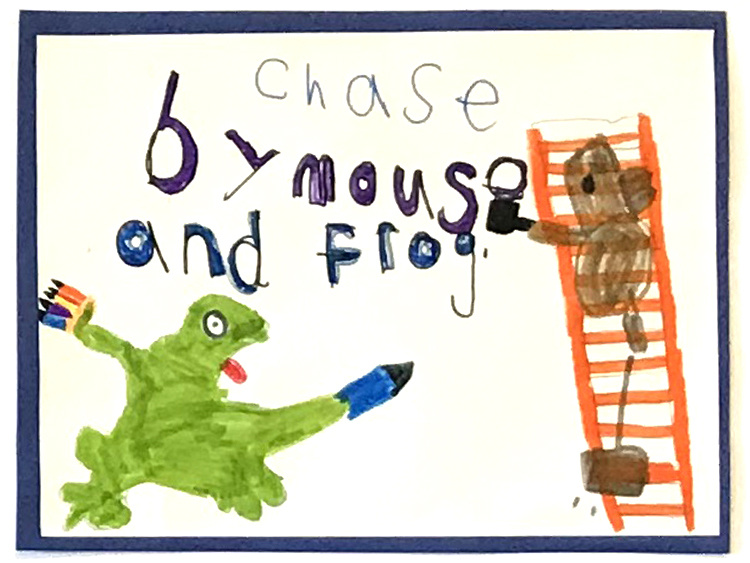 By Mouse & Frog is about two friends who try to write a story together. Write a story with Mouse and Frog, or with a friend. Carl helps our earth! Do you? What do you do? What are some facts you know about worms? What do worms like to eat? What book do Fish and Snail visit next? You draw the cover. 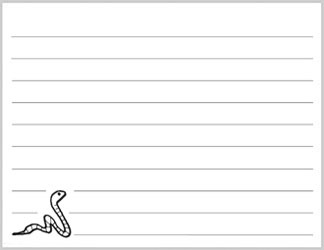 Draw your own farmyard scene. What animals are in it? What if one of them got into your crayons or markers or whatever you are drawing with today? What would happen? 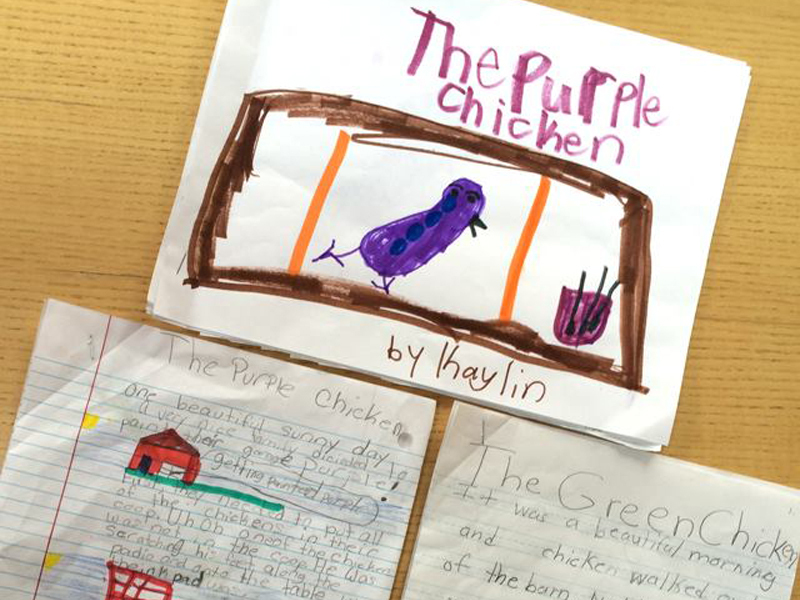 Have you read Blue Chicken? Color, or print this out on cardstock and make a splash with watercolor, or decorate with tissue-paper feathers. Have you read Scribble? Scribble and Princess Aurora love to make new friends – draw one for them! Have you read The Story of Fish & Snail? 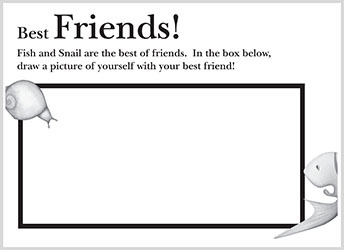 Help Snail find Fish, Draw Your Best Friends, Connect the Dots, Chart the Characters…. download this ACTIVITY KIT. Have you read CARL and the Meaning of Life? Help Carl tunnel to the mouse! How does a building tell a story? How can we measure, describe, and compare things around us? Where do materials come from and how do we use them? Questions and other curriculum ideas for This House, Once. 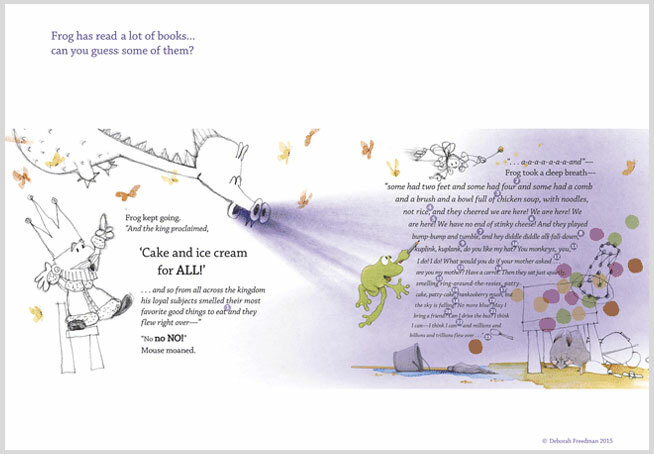 Have you read By Mouse & Frog? Frog has read a lot of books. Can you guess some of them? Download this QUIZ! And then try a scavenger hunt for Frog’s books in your local or school library. From top left: construction paper houses, at Eric Carle Museum of Picture Book Art; This House, Once inspired art by students at Hamden Hall Country Day School; Blue Chicken inspired stories; tissue paper chickens by kindergarteners in Norwich, CT; splashy painting from Bookie Woogie; "tell about a time you were brave", by students in Naperville, IL; By Mouse & Frog and Blue Chicken inspired artwork, Hamden Hall.